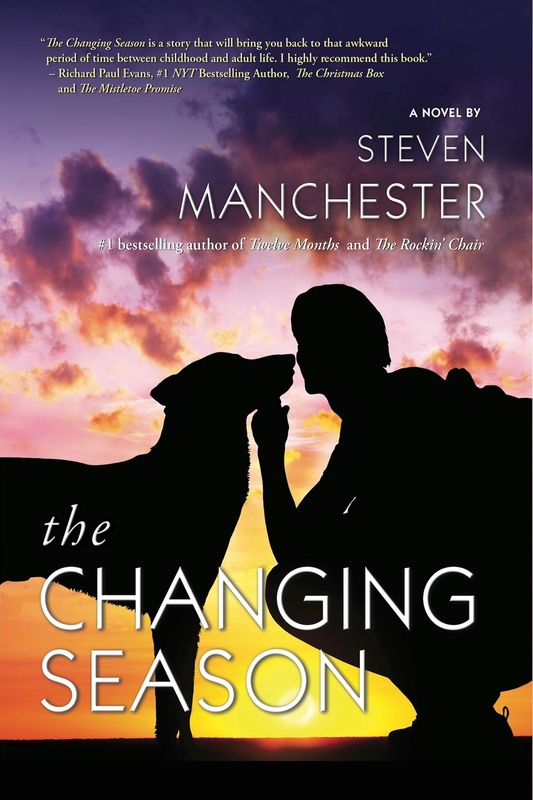 Today I welcome Steven Manchester to the blog to share an excerpt from his forthcoming release The Changing Season. This was supposed to be a simple summer for Billy: one more lazy expanse of time before college began. He'd fill the hours playing with Jimmy—his canine best buddy—going camping and doing all the things he promised Jimmy they'd do before Billy left. But that was before the accident that shook the entire town. It was before the summer job that turned into something so much more than a way to get a paycheck. And it was before Vicki. This summer was destined to be many things to Billy, things he didn't truly understand until now. But it was definitely not going to be simple. The beach was nearly deserted. After erecting their tent and establishing a cozy campsite, Jimmy trotted to the water. As Billy looked on, the silver-faced mutt walked in slowly—like an old man easing himself into a warm bath—the reckless abandon he’d once been known for completely gone. Jimmy swam for a bit before sitting in the shallows with the water line at his chest. Billy waded in and took a seat beside him where they sat for a long while, looking out onto the horizon. While the tide gently lapped at their chests, Billy wrapped his arm around Jimmy’s shoulder. “This is the life,” he whispered. Jimmy stood and took chase, but it was a haphazard effort. “Half-stepper,” Billy teased the dog and stood to go for a walk and dry off. As they strolled along the coastline, Jimmy shook the salt water from his coat. He also took breaks, long breaks, acting like he was exploring. “I know you’re stalling,” Billy told him, “and it’s okay.” At least your spirit’s still willing, Billy thought, getting choked up. When Jimmy slowed even more, Billy headed for the campsite. The sea grasses had lost their summer hue and were now brittle, snapping in half as Billy and Jimmy walked through the abandoned dunes. Steven Manchester is the author of four #1 bestsellers: Twelve Months, The Rockin' Chair, Pressed Pennies and Gooseberry Island. His long-anticipated novel, The Changing Season, is currently available for pre-order. Steve is also the author of the award-winning novel, Goodnight, Brian. He has written A Christmas Wish (Kindle exclusive), Wilbur Avenue (novelette), Just in Time (novelette) and The Thursday Night Club (novella), while his work has appeared on NBC's Today Show, CBS's The Early Show, CNN's American Morning and BET's Nightly News. Three of Steven's short stories were selected "101 Best" for Chicken Soup for the Soul series and he is the produced playwright of Three Shoeboxes. When not spending time with his beautiful wife, Paula, or their four children, this Massachusetts author is promoting his works or writing.